Purpose: To examine the information about tinnitus contained in different video sources on YouTube. 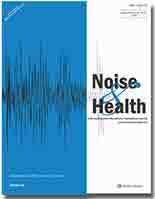 Materials and Methods: The 100 most widely viewed tinnitus videos were manually coded. Firstly, we identified the sources of upload: consumer, professional, television-based clip, and internet-based clip. Secondly, the videos were analyzed to ascertain what pertinent information they contained from a current National Institute on Deafness and Other Communication Disorders fact sheet. Results: Of the videos, 42 were consumer-generated, 33 from media, and 25 from professionals. Collectively, the 100 videos were viewed almost 9 million times. The odds of mentioning “objective tinnitus” in professional videos were 9.58 times those from media sources [odds ratio (OR) = 9.58; 95% confidence interval (CI): 1.94, 47.42; P = 0.01], whereas these odds in consumer videos were 51% of media-generated videos (OR = 0.51; 95% CI: 0.20, 1.29; P = 0.16). The odds that the purpose of a video was to sell a product or service were nearly the same for both consumer and professional videos. Consumer videos were found to be 4.33 times as likely to carry a theme about an individual’s own experience with tinnitus (OR = 4.33; 95% CI: 1.62, 11.63; P = 0.004) as media videos. Conclusions: Of the top 100 viewed videos on tinnitus, most were uploaded by consumers, sharing individuals’ experiences. Actions are needed to make scientific medical information more prominently available and accessible on YouTube and other social media. Objective: The present study aimed to evaluate the influences of combined traffic noise (CTN) on the ability of learning and memory in mice. Materials and Methods: The Institute of Cancer Research (ICR) mice were exposed to CTN from highways and high-speed railways for 42 days, whose day–night equivalent continuous A-weighted sound pressure level (Ldn) was 70 dB(A). On the basis of behavioral reactions in Morris water maze (MWM) and the concentrations of amino acid neurotransmitters in the hippocampus, the impacts of CTN on learning and memory in mice were examined. Results: The MWM test showed that the ability of learning and memory in mice was improved after short-term exposure (6–10 days, the first batch) to 70 dB(A) CTN, which showed the excitatory effect of stimuli. 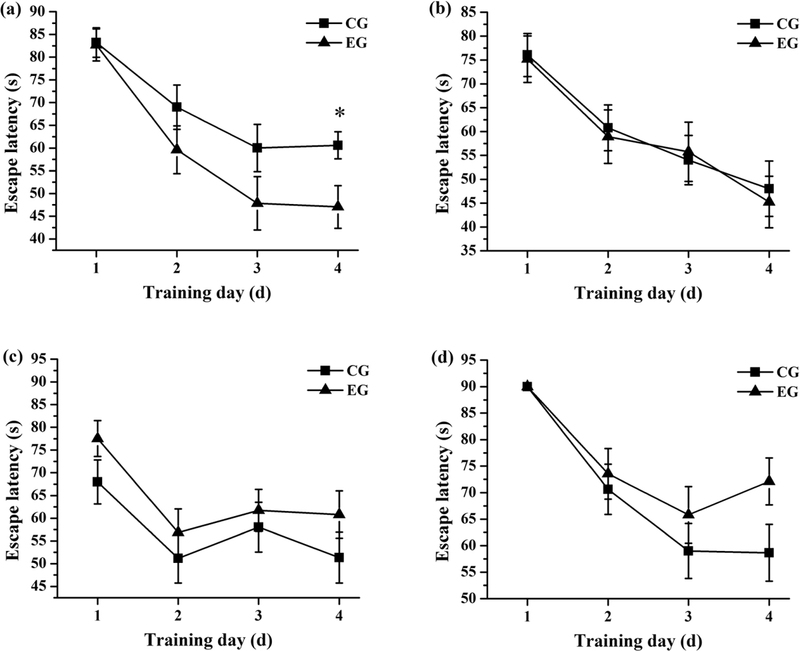 Long-term exposure (26–30 days, the third batch; 36–40 days, the fourth batch) led to the decline of learning and memory ability, which indicated the inhibitory effect of stimuli. Assays testing amino acid neurotransmitters showed that the glutamate level of the experimental group was higher than that of the control group in the first batch. However, the former was lower than the latter in the third and fourth batches. Both, behavioral reactions and the concentrations of amino acid neurotransmitters, testified that short-term exposure and long-term exposure resulted in excitatory effect and inhibitory effect on the ability of learning and memory, respectively. Conclusion: The effects of 70 dB(A) CTN on the ability of learning and memory were closely related to the exposure duration. Furthermore, those effects were regulated and controlled by the level of glutamate in the hippocampus. Purpose: The current study was aimed at understanding the patterns in the social representation of loud music reported by young adults in different countries. Materials and Methods: The study included a sample of 534 young adults (18–25 years) from India, Iran, Portugal, United Kingdom, and United States. Participants were recruited using a convince sampling, and data were collected using the free association task. Participants were asked to provide up to five words or phrases that come to mind when thinking about “loud music.” The data were first analyzed using the qualitative content analysis. This was followed by quantitative cluster analysis and chi-square analysis. Results: The content analysis suggested 19 main categories of responses related to loud music. The cluster analysis resulted in for main clusters, namely: (1) emotional oriented perception; (2) problem oriented perception; (3) music and enjoyment oriented perception; and (4) positive emotional and recreation-oriented perception. Country of origin was associated with the likelihood of participants being in each of these clusters. Conclusion: The current study highlights the differences and similarities in young adults’ perception of loud music. These results may have implications to hearing health education to facilitate healthy listening habits. In work environments, different physical and chemical agents that may pose a risk to workers‘ hearing health coexist. In this context, occupational hearing loss stands out. It has mostly been attributed to only noise exposure, although there are other agents, that is, pesticides that might contribute to occupational hearing loss. 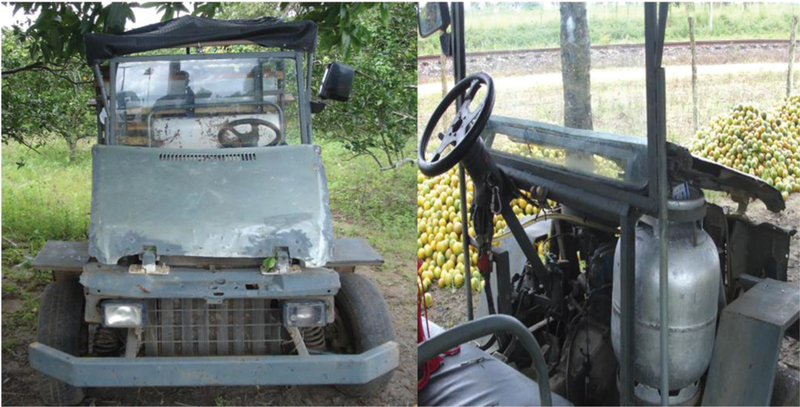 In this report, two cases will be presented that consider rural workers exposed to pesticides and intense noise generated by an adapted rudimentary vehicle. The noise measured in this vehicle was 88.3 dBA up to 93.4 dBA. Pure-tone audiometry, distortion product otoacoustic emissions, and high-frequency audiometry tests were performed. This report is unusual because of the short time of exposure to noise and pesticides and the hearing loss found, indicating a synergy between those agents. There is scant literature on the effectiveness of using transcranial direct current stimulation (tDCS) as an intervention modality for managing tinnitus. The current case series reflects the use of tDCS as an effective intervention for tinnitus while inhibiting the dominant temporoparietal cortex and simultaneous stimulating the non-dominant dorsolateral prefrontal cortex.